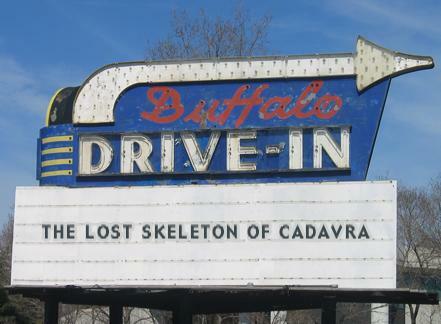 The Lost Skeleton of Cadavra is an homage to, and a parody of the science fiction movies of the 50's. If you haven't seen a lot of the sci-fi and horror movies from the 50's and 60's that were made on the cheap, such as The Brain that Wouldn't Die and Teenage Zombies (both reviewed on here at an earlier date), much of the humor may escape you. Suffice to say, the stilted dialogue and over-exposition done in this movie is a direct parody of what happened often in such movies of the earlier era. Larry Blamire and the rest of the cast may or may not be recognizable to the average viewer. With the exception of Blamire, however, most of the actors have been active in the film industry, and if you are like me and have a good memory for faces, you might even remember some of them. Fay Masterson, for instance, who here plays the scientist's wife, appears in Cops and Robbersons (a Chevy Chase comedy), The Quick and the Dead, Eyes Wide Shut and Fifty Shades Darker (the sequel to Fifty Shades of Grey). Brian Howe, you might remember as one of Clint Eastwood's sons in Gran Torino. He can also be seen in Catch Me if You Can, The Pursuit of Happyness, and The Majestic. Blamire himself is not a prolific director. He only has a handful of credits to his name, mostly in the area of the same genre as this, witty parodies of 50's style movies. 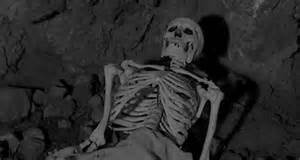 (One being a sequel to this one, The Lost Skeleton Returns Again). Filmed in the exciting new innovation of "skeletorama" (the jokes start early here...), the film pans down on Dr. Paul Armstrong (Larry Blamire) and his wife Betty (Fay Masterson). They are looking for a recently landed meteor which Paul theorizes may contain significant amounts of that rarest of all elements, "atmosprerium". In the exposition leading up to them driving to a cabin in the woods we find that Paul is a scientist and wants to experiment on the atmospherium, because it means a lot to "the field of science". They stop to ask a farmer who is just standing by the side of the road and ask directions to the cabin. Meanwhile, another scientist, Dr. Roger Fleming (Brian Howe) is hiking through the woods seeking Cadavra Cave. He encounters a ranger standing by the side of the road just hoping for someone to come along who needs help, and gets directions to the cave. 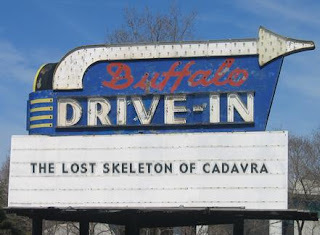 (People seem to just stand by the side of the road waiting to be of help in this movie...) When he arrives at the cave, Roger finds the "lost skeleton of Cadavra" and begins laughing maniacally at his fortune. Eventually the skeleton begins talking to him and says it needs atmospherium to be able to come to life and take over the world, and induces Roger to help him. At the same time, a space ship lands (it's only a model...), and two of the most naive and dim-witted aliens ever emerge, Kro-Bar (Andrew Parks) and Lattis (Susan McConnell). They reveal two of the additional plot devices that drive this movie; 1) that their pet mutant has escaped and is a danger to the people of Earth, and 2) that they need a special ingredient to be able to repeair their ship. what's the element? Can't you guess...? 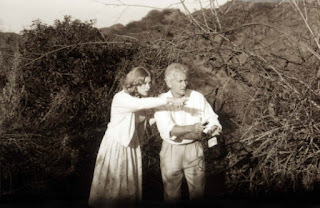 The aliens overhear Paul and Betty discussing the meteor and it's contents of atmospherium. 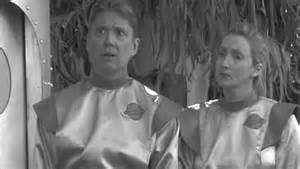 They use their "transmutatron" to change themselves into normal humans and show up at the cabin, where they pose as two Earthmen, choosing the names Bammin and Tergasso. Of course, even despite the obvious, Paul and Betty are clueless that something is amiss with their visitors, and invite them in. 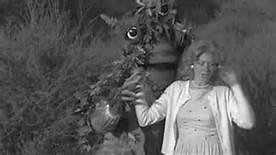 A short while later, Roger shows up with a girl that he has made using the transmutatron to change four forest animals, one he has named "Animala" but introduces as his wife, Pammy (Jennifer Blaire). There are some rather funny scenes here as all of the visitors try to convince the Armstrongs that they are legitimately who they claim to be while each group tries to figure out how to steal the meteor. To that effect, Roger engenders a deal with the aliens to share the atmospherium if they are successful. (He knows the truth about the aliens, of course, having seen them use the transmutatron. Of course, Roger has no intention of actually sharing, and when the plan works he reneges on the deal and takes all the atmospherium for is own purposes. He brings the skeleton to life, and the skeleton turns out to have some rather strong abilities such as controlling people psychically. 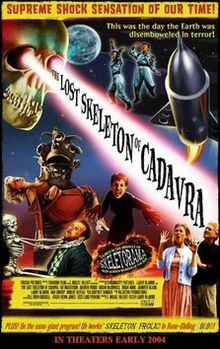 The last part of the movie is a rather funny attempt to foil the plans of the skeleton, which includes marrying Lattis in a ceremony. The mutant plays a role in this, which is enhanced by the fact that the mutant has fallen in love with Betty. Once again, if you are a devotee of these old grade Z movies which Blamire and crew are skewering, you will see a lot of the tropes that appear in them. But you don't have to recognize the tropes to be able to enjoy the movie. The best way to do so if this is your first time is to suspend your expectations of quality Oscar-worthy performances and just watch it as if it were a cheapjack film, which it most certainly is. Well folks, time to climb back in my spaceship and head home. Drive safely. You don't have to have seen a lot of cheesy fifties sci-fi to find it funny. 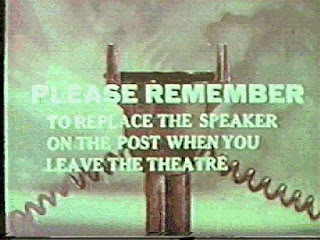 I just say its a bit funnier when you can see the jokes for what they are underneath the film itself. Thanks for reading. Wow! It sounds like these folks really know their spoof business, and the movies chosen. I hadn't heard of this before to day, but it sounds like it would be quite the kick. Love the title of the sequel! I first saw it when it first came out on VHS. (Remember VHS...? :-D) I snagged a copy of it a few years ago on DVD when I saw it at Half Price. It really is cool. The sequel is decent too. I'm still looking for another movie Blamire did, "Trail of the Screaming Forehead". Thanks for reading. 1) A film that uses terms like "atmospherium" and "transmutatron" sounds like a Must See. 2) The uniforms the aliens are wearing are absolutely perfect, right down to the interplanetary logo on the left shoulder. 3) The movie poster! Fantastic! I was surprised this movie was made in 2001 – at a glance I thought it was from the 1950s, which means the filmmakers really knew their source material. This looks like a blast. 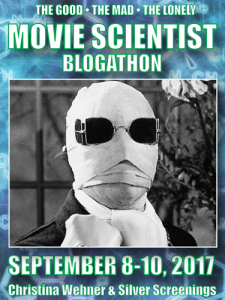 Thanks for bringing this to the Movie Scientist blogathon! The dialogue is what makes this movie great. It comes off kind of like "Plan 9 from Outer Space", except that Blamire was intentionally trying to be cheesy in this one. Thanks for reading. 90 minutes is just about right, I think. If it were too much longer, I'd say it might have been overdone. thanks for reading. It does sound funny! Thanks for the review!